Hi. My name is Rev Geraldine Bown. I’d like to share with you a little about my own spiritual journey so you get a sense of the person behind the Minister. (Feel free to skip this completely and go straight to the tabs to find out about my work). 30 years experience working in the areas of Diversity & Inclusion, Women’s Empowerment and Gender Balance. 6 years experience working in the area of Spiritual Intelligence. Whether we realise it or not we are all on a spiritual evolutionary path. The paths are many and varied. They don’t necessarily subscribe to a particular religion and no one path is better than any other. I have gained insights and got much encouragement from reading and hearing about paths that others have taken. I offer my story to you to encourage you to continue to define your path for yourself. Spirituality is about the questions - not the answers. I was raised as a Catholic. As a little girl I wanted to be a Priest and carry out ceremonies. I was told I could be a nun.....and of course I couldn’t serve on the altar. I used to kneel on the front row of church while my brothers served on the altar, and I would say all the Latin responses with them. Over the years I tried to make sense of it all even though my father was adamant that it wasn’t for me to understand, it was for me to obey. He said that my job was to follow the white line down the middle of the road and deviate neither to left or right. My job on earth was to save my soul. Of course he meant ‘save my soul from damnation’ and at the time I thought it was a selfish attitude anyway. Strangely though, now I do believe that my job is to be responsible for the evolution of my soul - but not to save it from banishment to Hell, but to express the Divinity to which it belongs. My overriding goal is to help people to express their own divinity and soul essence in the world. There are many reasons why I left the Catholic Church. But in spite of all the things about the organisation of the Catholic Church which made me uncomfortable and even furious, it was through this religion I was raised in that I had a sense of God (albeit a male God - and a God 'out there'), a role model in Jesus, a sense of sacred ceremony. And I remain profoundly grateful for the introduction to these things. Ultimately I found the Catholic Church too limited and too confining. I had a growing sense of my own spirituality. I read books and I talked to people and I went on workshops, all of which enabled me to free my spiritual self. So I came to see the Church much like a dating agency. I was introduced to God and once we began a relationship I didn’t need the agency any more. I started to realise that God was within me residing in my soul and I felt a crushing responsibility. No more just trying to live by the rules and going to confession to remove your sins. Now, every thought, every word, every action became a moment of truth. I became aware of my spiritual self constantly and in spite of the sense of responsibility, the more I tuned into it the more peaceful I felt and the more aligned with my soul as a reflection of Absolute Beingness. Yes, I missed community coming together. Yes, I missed the hymns and the singing and the candles and the incense. I had to create the upliftment I had found in ceremony in my daily life somehow. I left the Catholic Church when I found A Course In Miracles. I hadn’t wanted to leave something, I wanted to go towards something else. In ACIM I found a blueprint for daily living. It is a modern interpretation of what Jesus’ life was really about. It introduced me to the exploration of the differences between perception and illusion and truth. Then, one day, I saw a small ad in a spiritual journal “Did you ever want to be a Minister?” My heart leapt. When I was 17 I had thought I did have a vocation...to be a nun. I prayed every night for God to take it away. I spoke to a nun at school and she told me to go to University and begin my teaching career - if you do have a vocation, it will come back, she said. Wise woman. So here I was 30 years later and my vocation came back. I spent two years training and was ordained as one of the first One Spirit Interfaith Ministers and Spiritual Counsellors in the UK in 1998. There are many more of us now in Ireland (see www.interfaithministers.ie) There is no church, no dogma, no rules about Ministry. Every Minister serves in the way they feel personally called. There are many people now who have done a weekend training to become a Wedding Celebrant. I am very happy that my two year part-time intensive training accelerated my own spiritual development as well as preparing me to be a Minister and Spiritual Counsellor. My chosen focus for my ministry and spiritual work is on conducting sacred ceremonies for special occasions – especially weddings, and working with individuals and groups on their own spiritual awakening and exploration. I continued my learning which had by then included a foray into many of the New Age ideas. All of them interesting but somehow, for me, missing a certain rigour. It surely had to be more than sitting on my own with candles and music feeling good? There’s nothing wrong with that of course, but what about in busy traffic when someone cuts me up, or when someone pushes ahead of me in the line, or I have competing responsibilities to juggle, or I'm not getting on with my loved one - how sustainable is my peace then? And the state of happiness always seemed a bit suspect to me because it depended on external circumstances for its existence - another person, an event. Where to find out about establishing a deep joy that I would carry with me into all circumstances? And how to acquire a wise intelligence so that head and heart could truly work together? I found the rigour I sought first by completing a Post Graduate Certificate in Spiritual Development and Facilitation at the University of Surrey in 2005/6. It helped me to crystalise my views on spiritual development...and showed me that I am not cut out for the world of academia! My focus more and more was on - but how does this look in life? how do you live this on a daily basis? And at about that time I was introduced to The Ageless Wisdom Teachings. The teachings of the Master DK, telepathically dictated to Alice A Bailey over 30 years, and comprising 30 volumes, deal with the basic principles of life and the Laws of Nature. They speak to the religious minded, the agnostic and the scientist. They put forward profound ideas that have application to every department of human existence and each person can interpret and apply them according to their specific stage of development of intellect, mind and spirit and according to their own physical and social environment. Here I found a system of spiritual evolution which encompassed every religious idea and philosophy I had ever come across. I could see how everything fitted together. And I had a clear picture of what a spiritually evolved life might look like. I have found a path which works for me. I am a student of spiritual evolution and constantly trying to find ways of living spiritually while functioning in a modern and chaotic world. 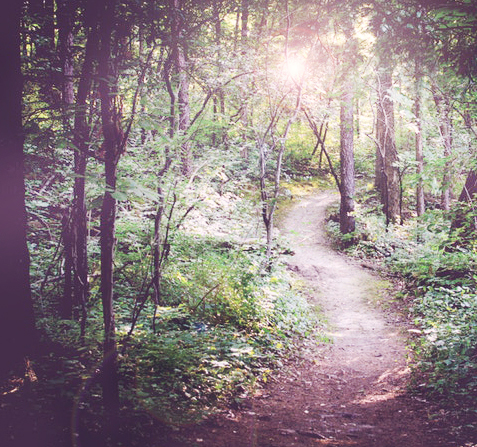 There are many paths and each must find his/her own. In 2012 I was introduced to the concept of Spiritual Intelligence and I trained to be able to debrief the SQ21 assessment tool. This is an online questionnaire with a 20 page report detailing the competence level in 21 skills related to spiritual intelligence. For a while I became part of the European team to train other facilitators in the debrief of the tool. So here was a way we could measure spiritual intelligence and be able to use the words spirituality, performance and competence in the same sentence! I believe that in the next 20 years Spiritual Intelligence will become as familiar a term as Emotional Intelligence is now. I have been a consultant and trainer for 30 years working in the corporate sector in the areas of Diversity and Inclusion; Leadership; Women’s Empowerment and Gender Balance. I also work with people to help them to increase their Spiritual Intelligence so they can be more effective leaders. Contact me if you would like to undertake SQ21 - the Spiritual Intelligence Assessment Tool. Details of all areas of my work can be found at www.dominoperspectives.co.uk. You will see more details about my work in the areas of Weddings and Workshops on this website. Feel free to browse what I do and do contact me if you think I can be of any assistance. Finally, as I try to make sense of my life from a spiritual perspective, in the blog on this site I will share, little by little, what I am learning and experiencing about practical spirituality for evolving souls. Contact me if you think I can help you to find your own spiritual path and express your soul essence in YOUR chaotic world.